The Simeon 500WU is a completely new concept in portable soundfield FM. 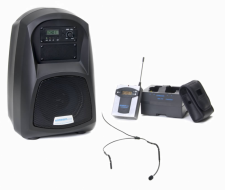 Featuring a modular FM receiver, the 500WU Duo features a dual-transmitter format. With 96 FM channels available on a new UHF frequency band, Simeon 500WU provides the quality of sound and performance that makes listening natural and amplification unobtrusive. The true-diversity FM receiver constantly monitors between two internal antennae to ensure the best possible signal quality at all times. A full 30 watts of audio power and full-range speaker provide ample coverage for a classroom or small auditorium, and all on rechargeable battery power. When you hear it you will agree that Simeon 500WU a natural sounding choice for amplification on the go! 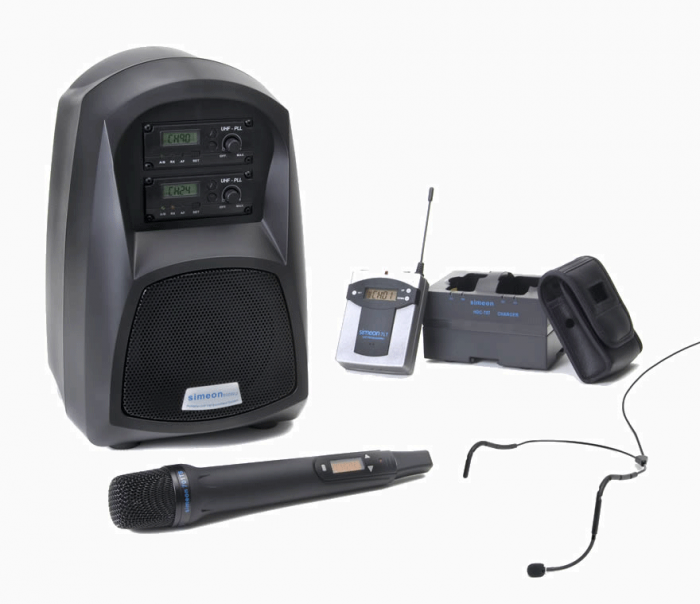 System includes one body-worn transmitter with one boom microphone Simeon 623 and one pass-around transmitter/microphone.